Time for another Secret Recipe Club Post! For those who haven’t seen my previous Secret Recipe Club posts: In the Secret Recipe Club, each blogger is assigned a different blog each month. They secretly choose a recipe, prepare it, and post it on a designated day. It is so much fun on reveal day to see what recipes everyone has chosen! This month, I was assigned to Natural Noshings. Natural Noshings is manned by Nora, a twenty-something foodie who focuses on all natural ingredients. She is also an avid runner and has an active lifestyle in general. 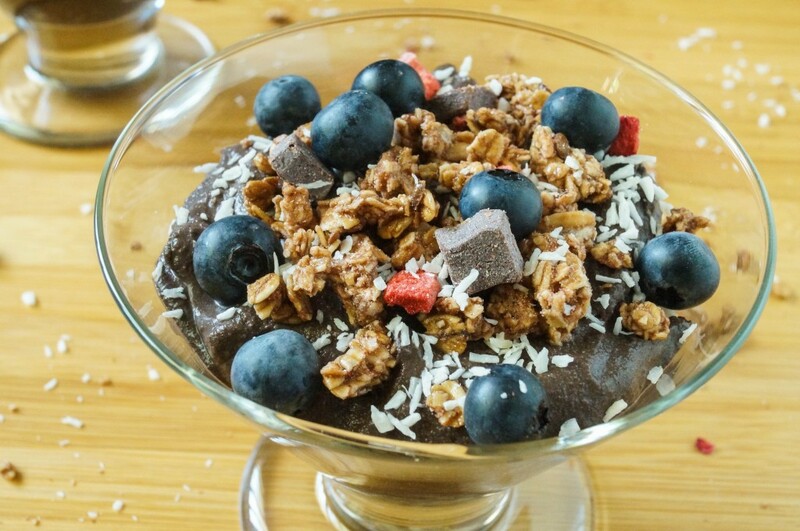 On her blog, you will find gluten-free and mostly refined sugar free recipes. In her recipe index, she also notes if the recipe has grain-free or vegan options. I finally settled on trying her Layered Chocolate Ricotta Cup. It was a perfect evening snack! It is just the right amount to serve one person (great for me since Chad doesn’t like chocolate), but can easily be doubled if you have another chocolate lover in the house. Other great recipes that I have pinned for later include: Chicken Vindaloo, Chocolate Covered Strawberry Bars, Yogurt Cheesecake in a Jar for Two, Chicken with Pepian Sauce, Sun-dried Tomato Pesto, Ricotta Cheesecake Parfaits, and Chicken Florentine Meatballs. I used dark chocolate cocoa powder, since I am trying to use up pantry ingredients for our upcoming move. I really enjoyed it, but stick with regular cocoa powder or raw cacao powder if you don’t want an overly rich flavor. 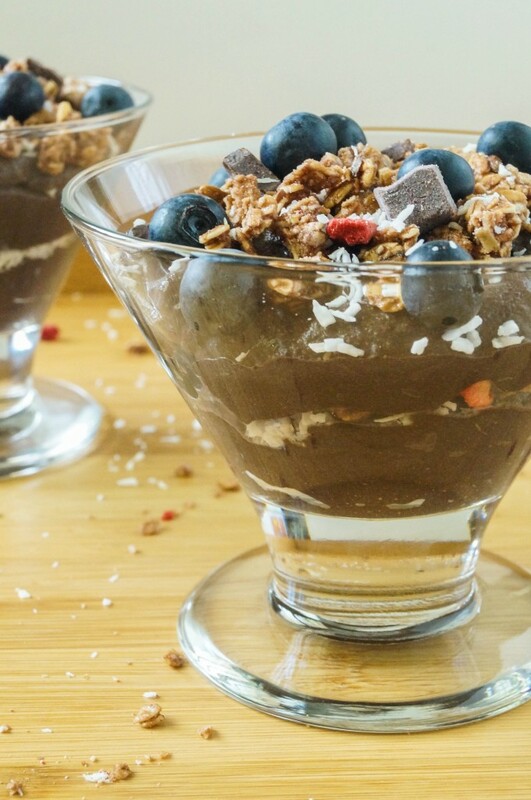 I topped the Layered Chocolate Ricotta Cups with Dark Chocolate and Red Berry Granola: Nature’s Path Organic – Premium Organic Love Crunch Granola Dark Chocolate & Red Berries – 11.5 oz. . This would also be delicious topped with some fresh strawberries. In a small bowl, whisk together ricotta, cocoa powder, vanilla extract, and cinnamon. Stir in honey to taste. Fill serving cup with half of the chocolate ricotta. 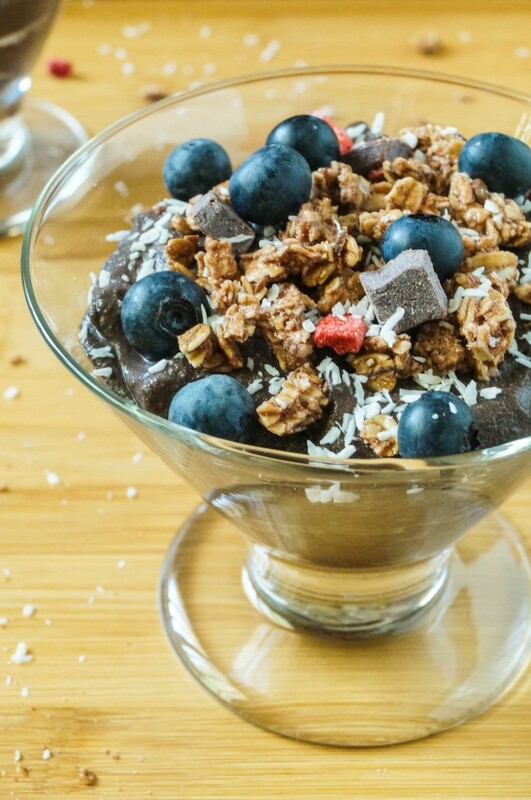 Sprinkle half of the blueberries, granola, and coconut over the top. Spoon in the remaining chocolate ricotta and top with remaining blueberries, granola, and coconut. I love ricotta, and haven’t tried it with chocolate yet. Sounds amazing. Happy reveal day! This combo sounds amazing. I would never have thought to combine ricotta and chocolate. Your pics are simply lovely. Oooooh! Chocolate and ricotta are so perfect together, this sounds like a great treat to be able to keep to your self 😉 – lovely pick this month. I’ve never had ricotta in a dessert, but understand it’s delicious. This sounds beautifully simple. Might have to give it a try next time I have left over ricotta in my fridge! Never thought of chocolate in the ricotta! How good would this taste on a waffle…can you tell I am hungry? Great SRC pick! What a fabulous pick! I love everything about it, and it uses ingredients I always have on hand. Pinning right now!!! Can I call this breakfast? Swoon! Great pick! Yum! I never thought of chocolate + ricotta! That sounds so interesting!! Looks pretty too! ooo interesting to use rictotta in a sweet treat like this. fun! Wow that looks INCREDIBLE!! Beautiful, decadent, and delicious! 🙂 Great SRC pick! Chocolate and ricotta — perfect together. And so pretty too!